so after staying the night in benalla, enjoyed a very brief excursion onto winton with the combined track day of the WRX club and porsche club. Plenty of great machinery getting around the track was brilliant! the plan was to have around 5 sessions on the track - but unfortunately during my third session out, my wrx suffered the pretty common problem of a cracked plastic end (top) tank, letting go of all the coolant :( managed to limp home - a pretty slow three hour crawl - without too many major issues. 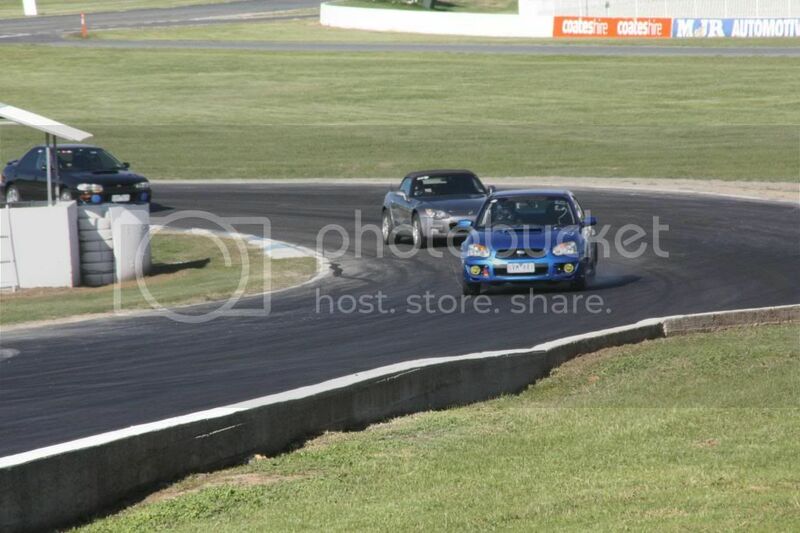 up to then, was enjoying my first time at winton. Bit of a tricky track to learn, especially the hairpin leading onto the short back straight where I did go off a couple of times. i've swapped in a full alloy radiator and slimline fans to replace the 11 year old stock radiator, and this weekend with re-flush the coolant as I'm installing a water temp gauge to keep a closer eye on temp, as well as swapping in an adjustable rear swaybar. also just bought a new daily/tow car, a mazda cx5 - just got to hunt down a reasonably priced car trailer now!